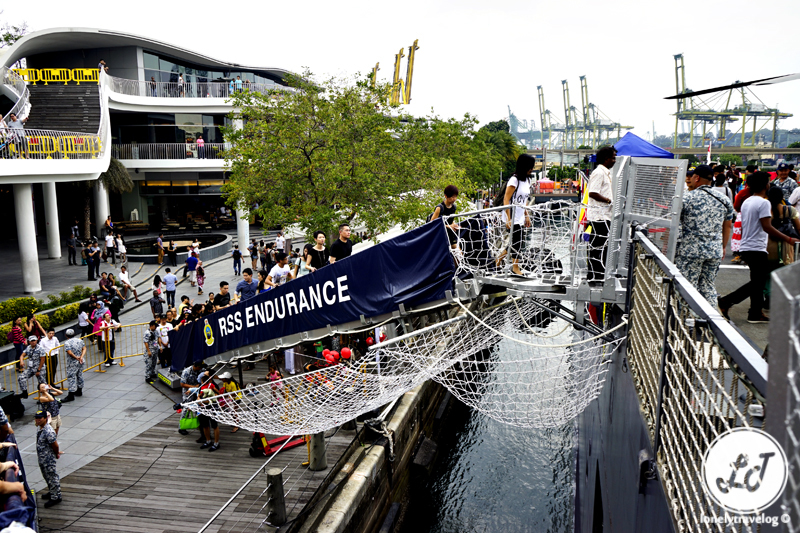 The RSS Endurance has docked the VivoCity Promenade as part of the Singapore Armed Forces 50th anniversary celebrations. It is not often that you can board the 141 metres long warship; equivalent to the size of 3 Olympic-sized swimming pools put together in length-wise and it is as deep as an eight storey block of flats with width of half a football field. This Landing Ship Tank is the largest warship in Singapore’s Navy. SAF50@Vivo gives public a rare opportunity to tour the warship strictly for ticket holders. 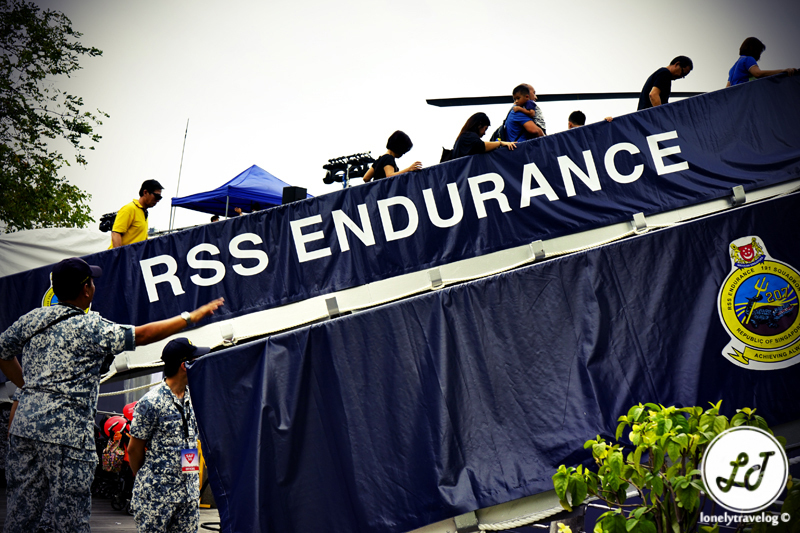 After security check, visitors will walk up the gangway aboard the RSS Endurance. This mighty warship is definitely worth a visit.